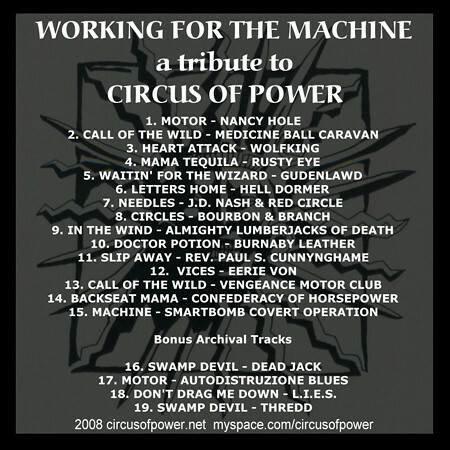 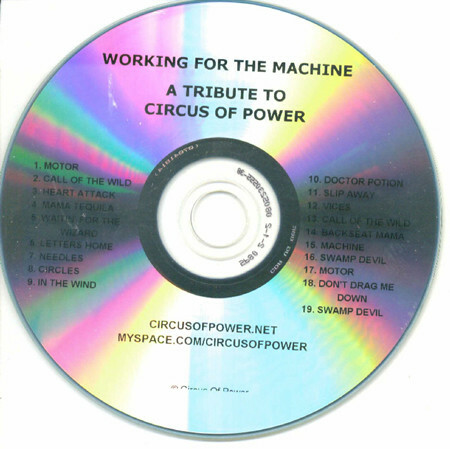 A tribute album to the late '80s/early '90s hard rock band CIRCUS OF POWER entitled "Working For The Machine" has just been made available via the band's official web site, CircusOfPower.net. 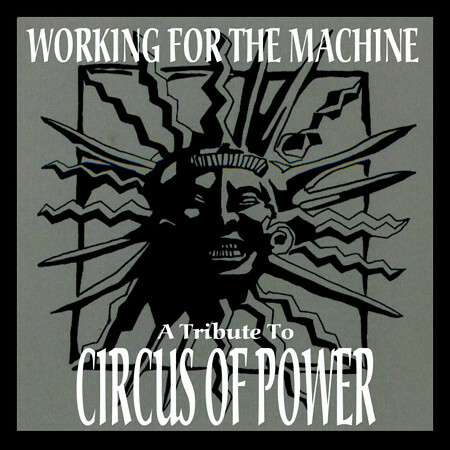 "Working For The Machine" is available for $9.99 plus shipping. Supply is VERY limited.